Playing volleyball in the backyard. 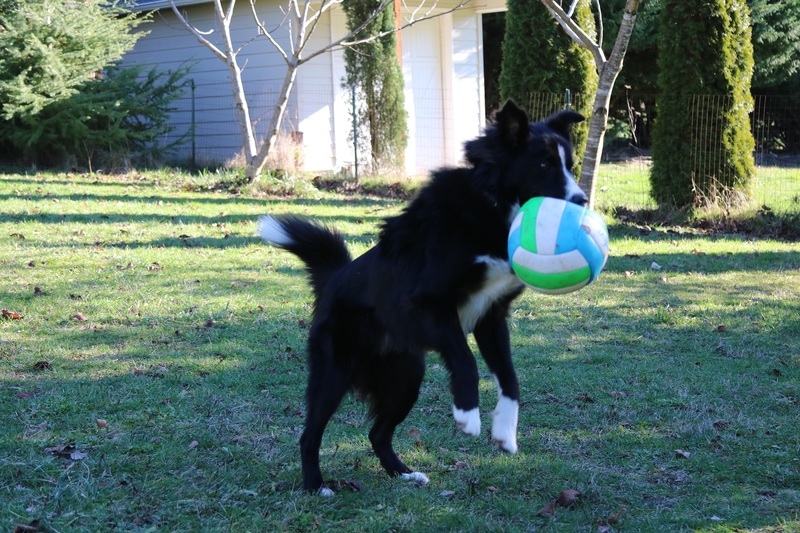 Deflate the volleyball to protect your dog's face and teeth. Hours of fun!